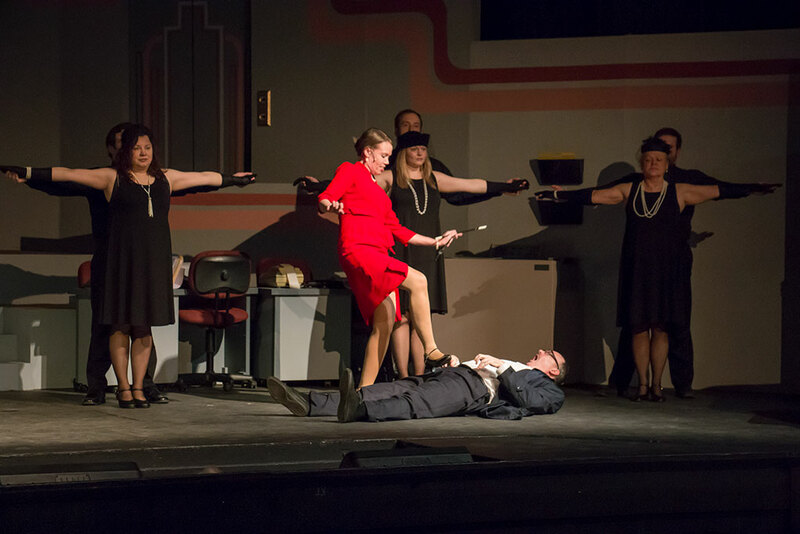 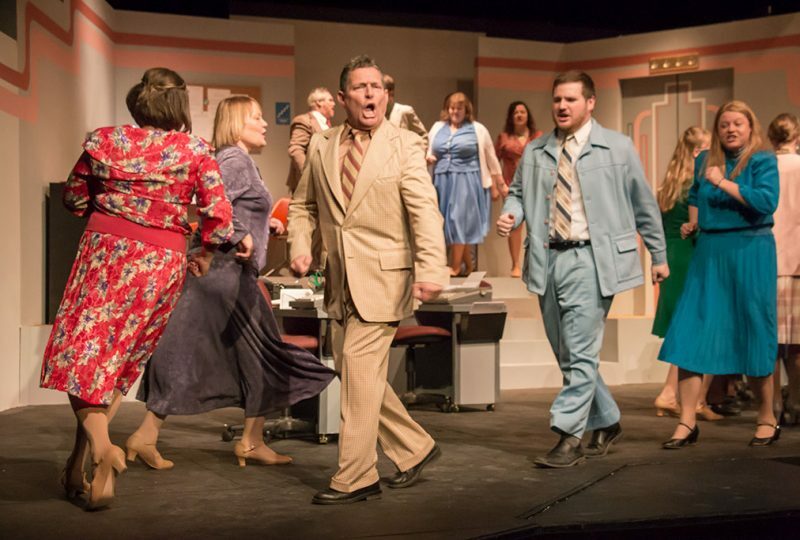 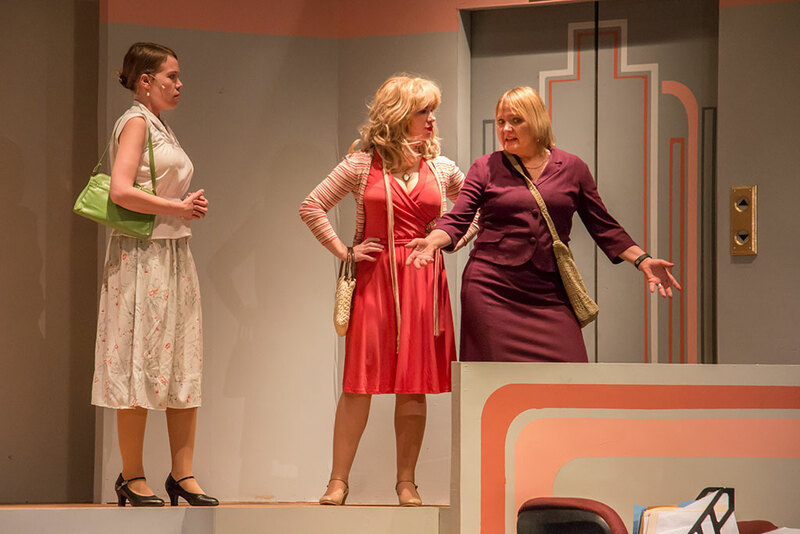 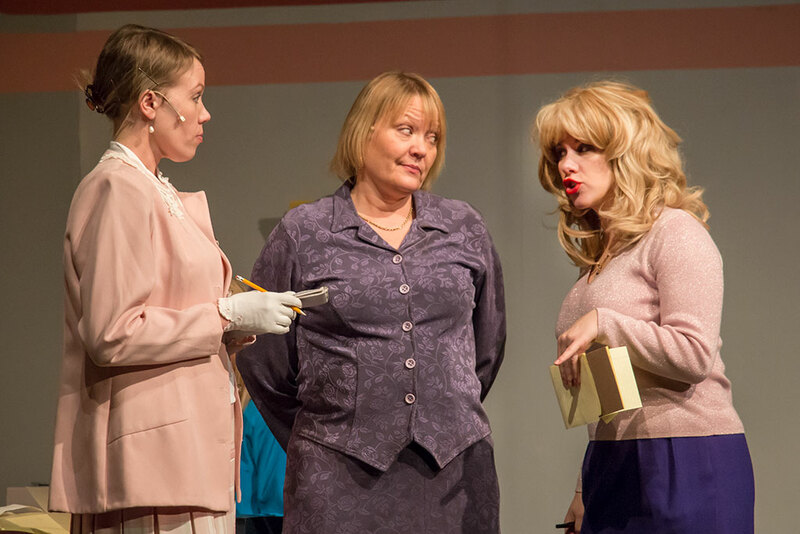 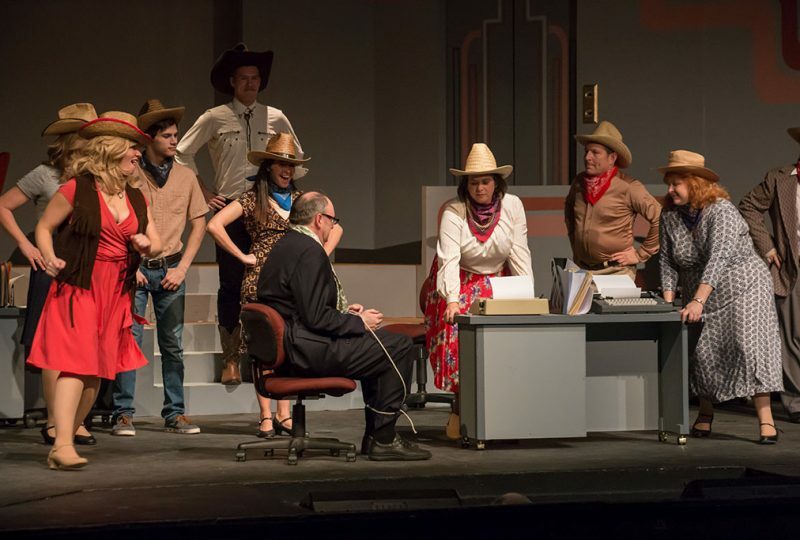 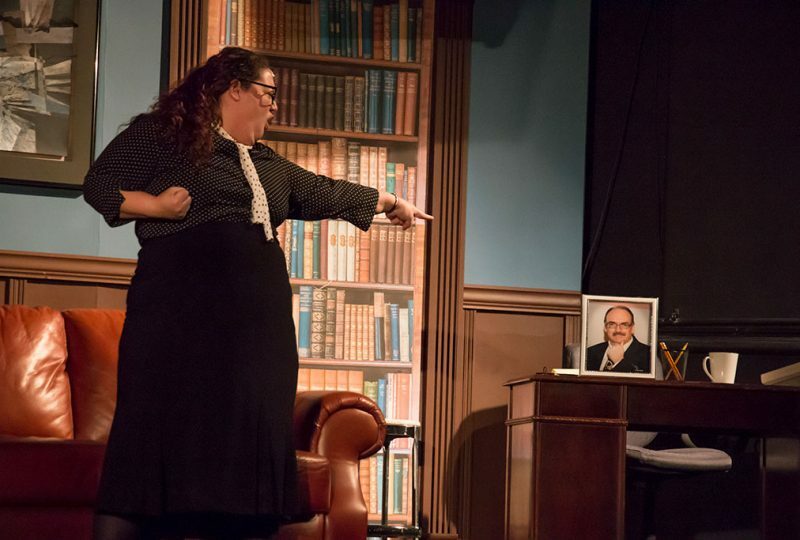 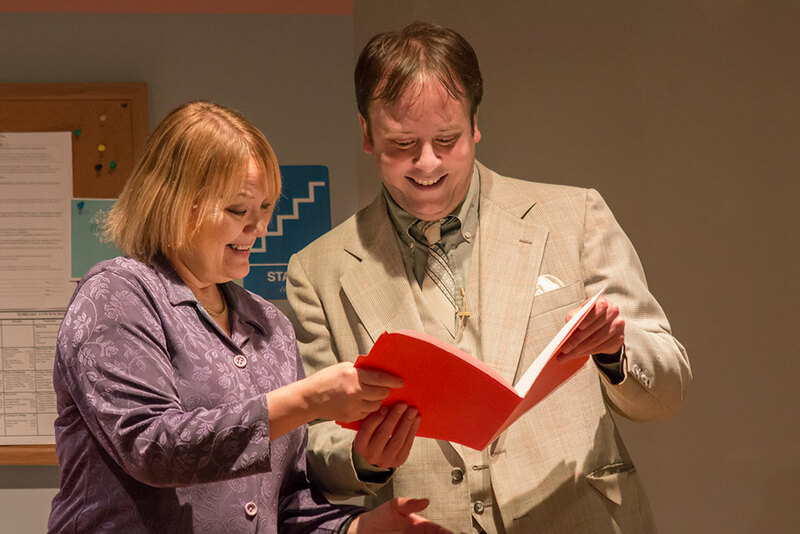 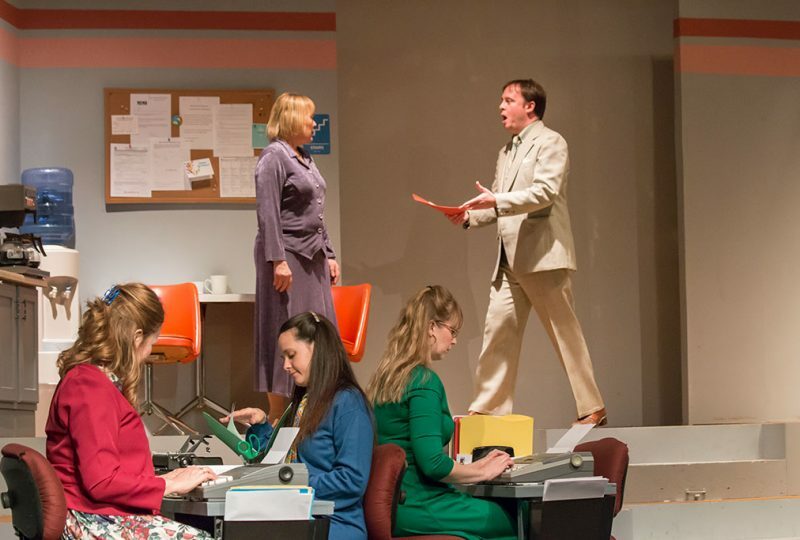 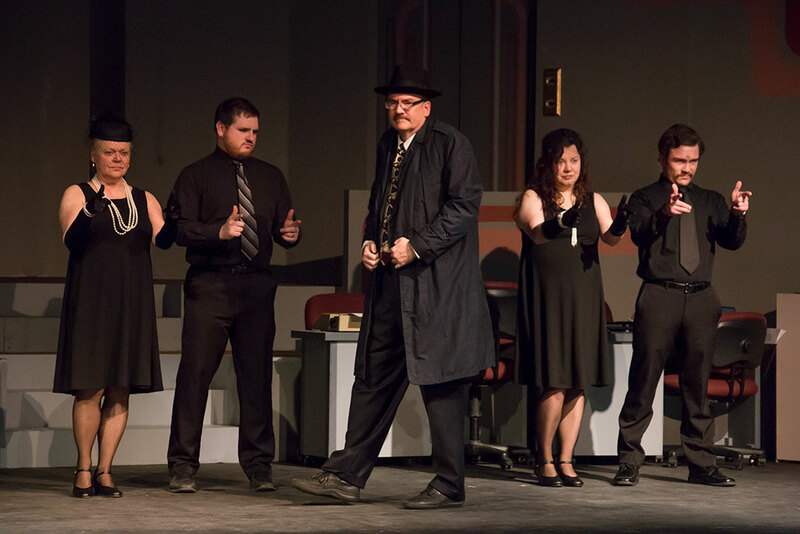 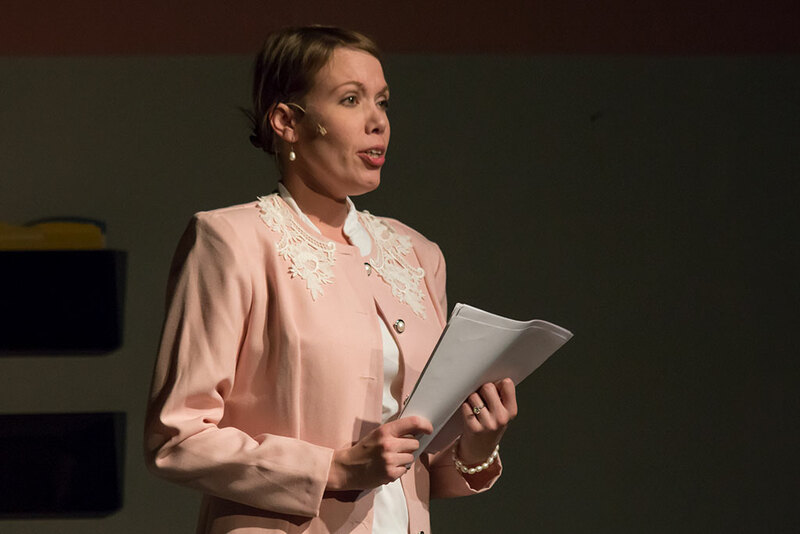 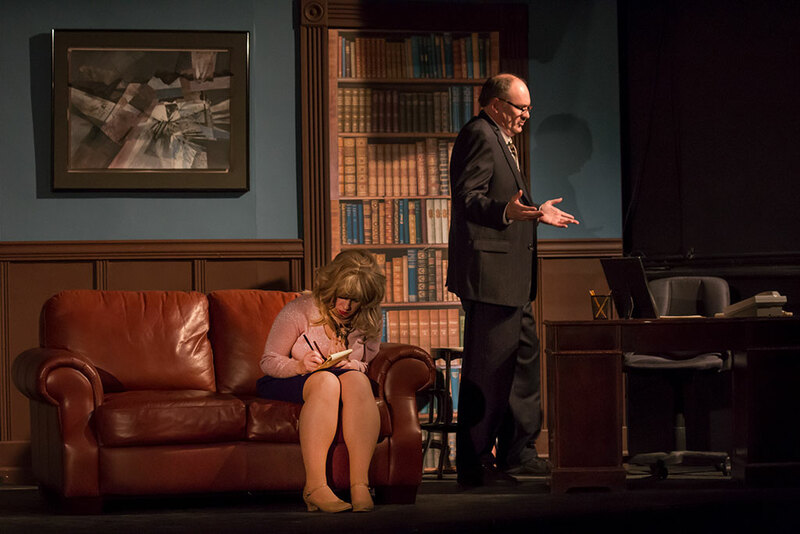 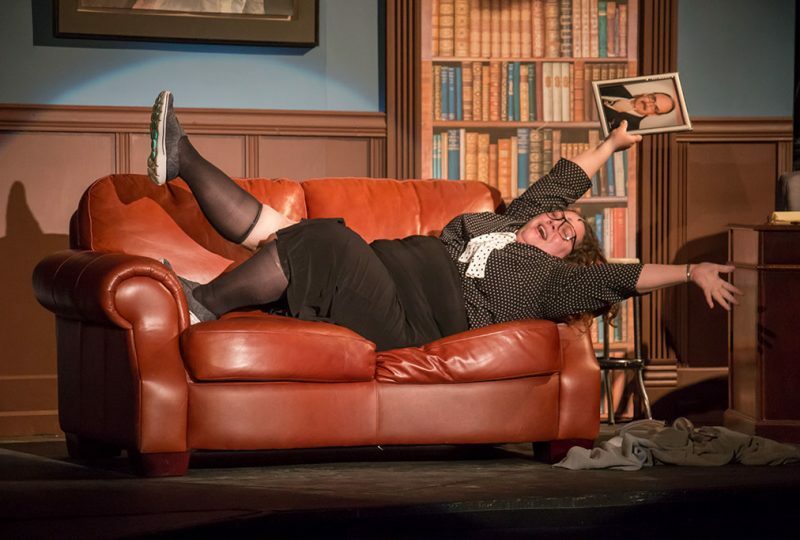 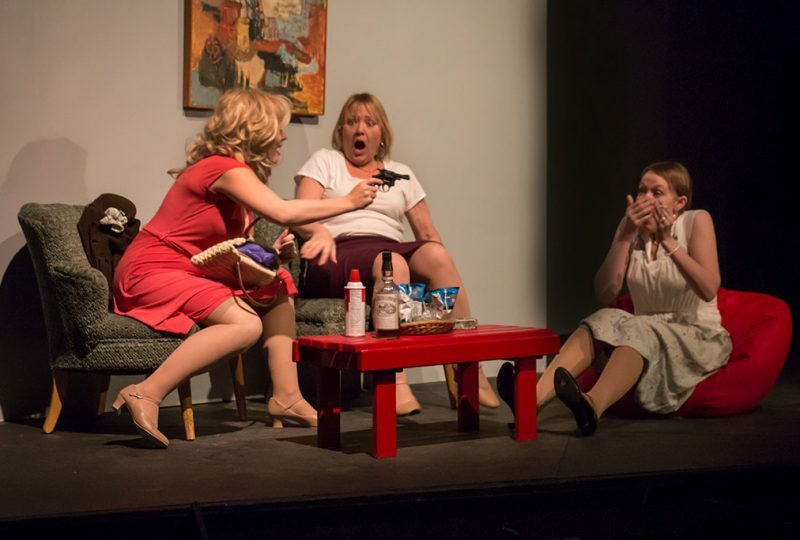 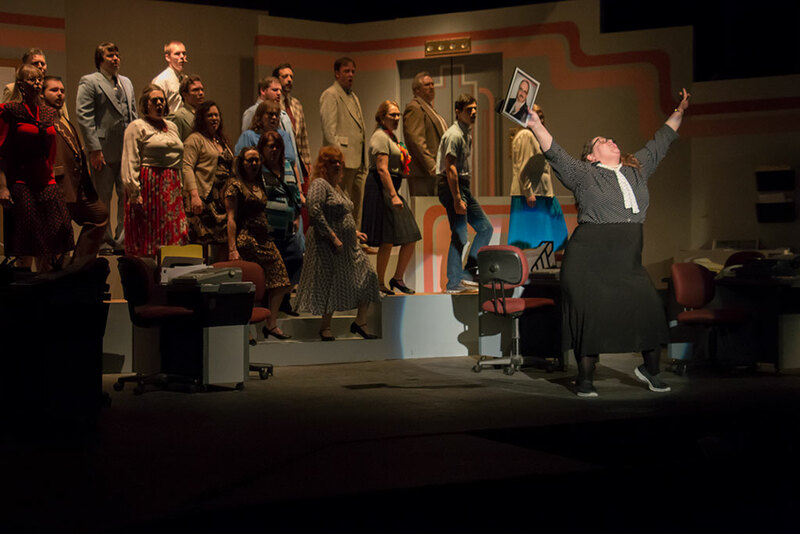 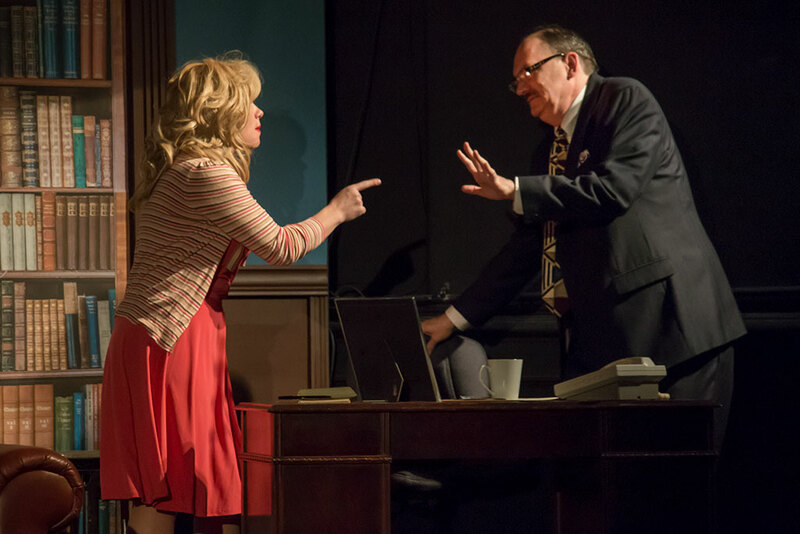 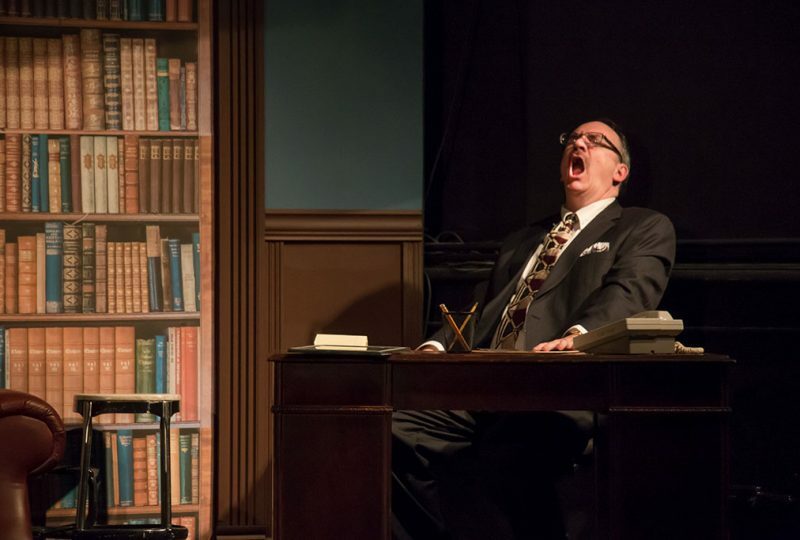 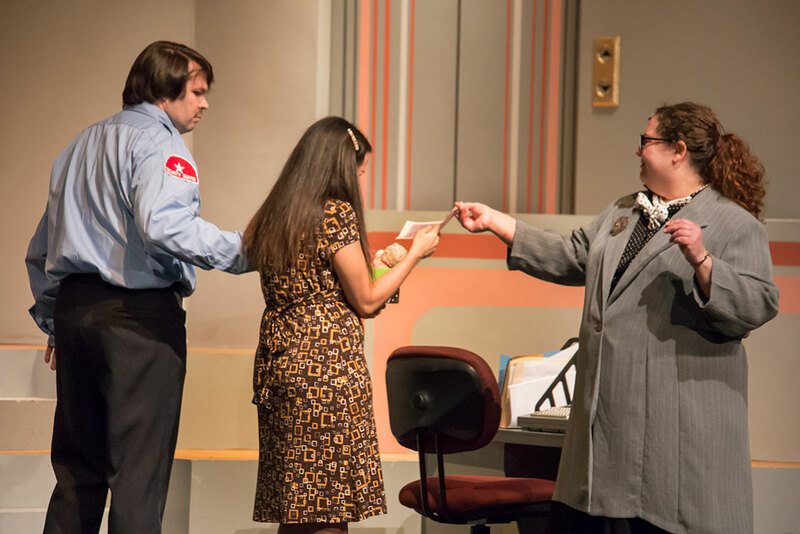 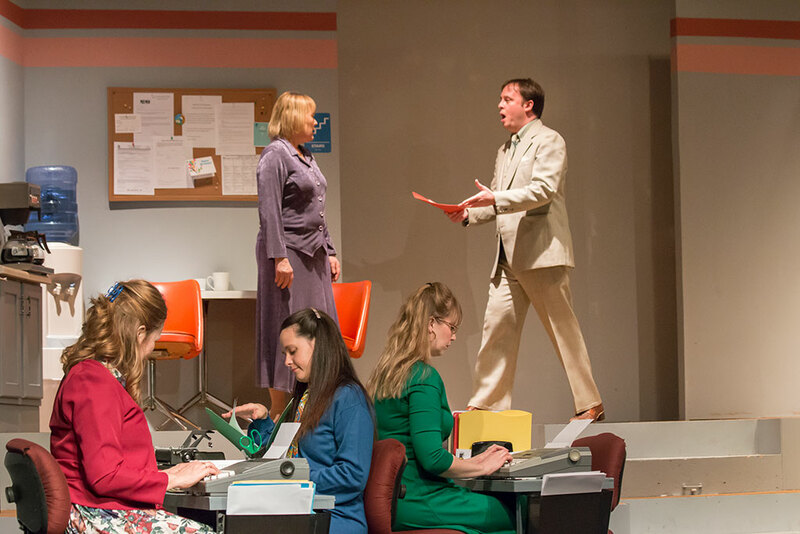 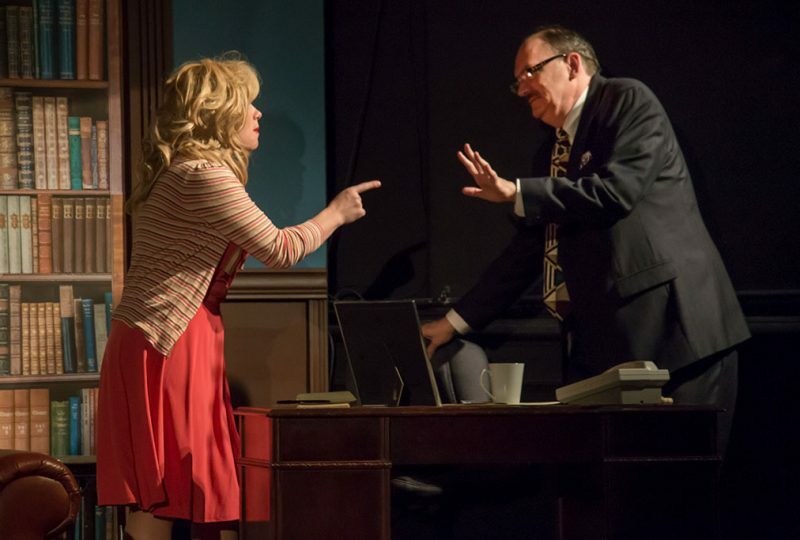 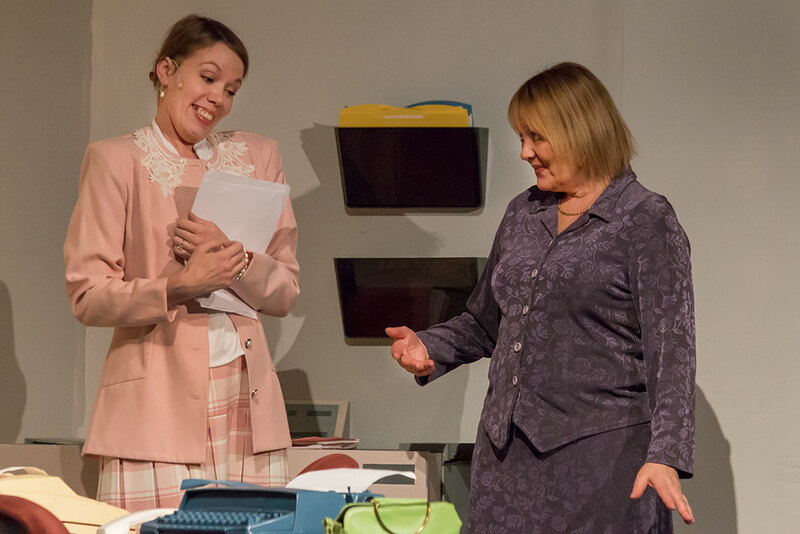 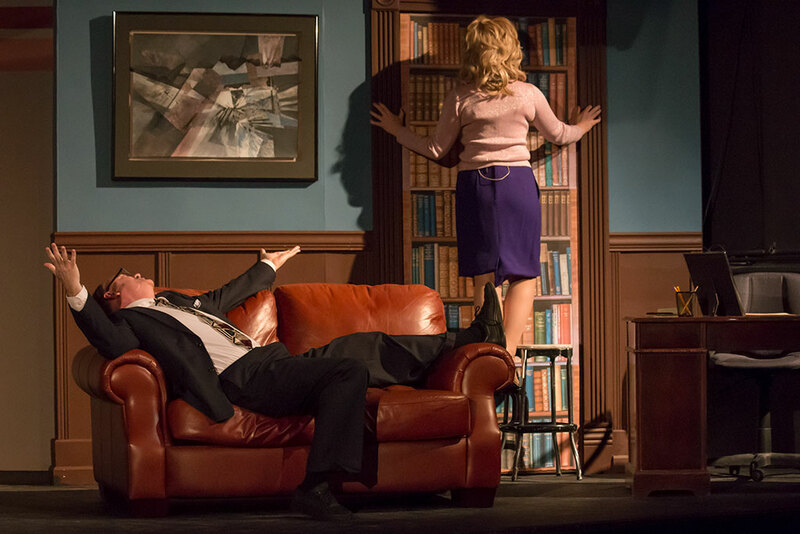 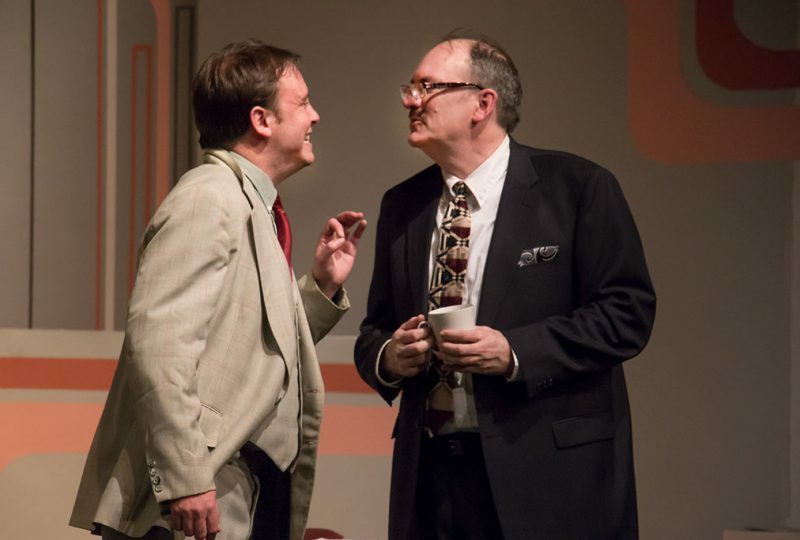 ESCANABA — The Bonifas stage has been transformed into an office setting, even equipped with an elevator, for the Players de Noc musical “9 to 5”. 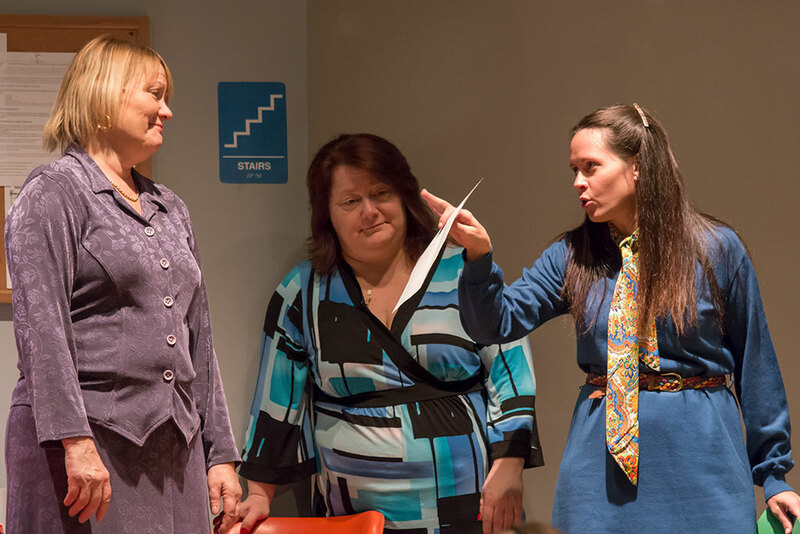 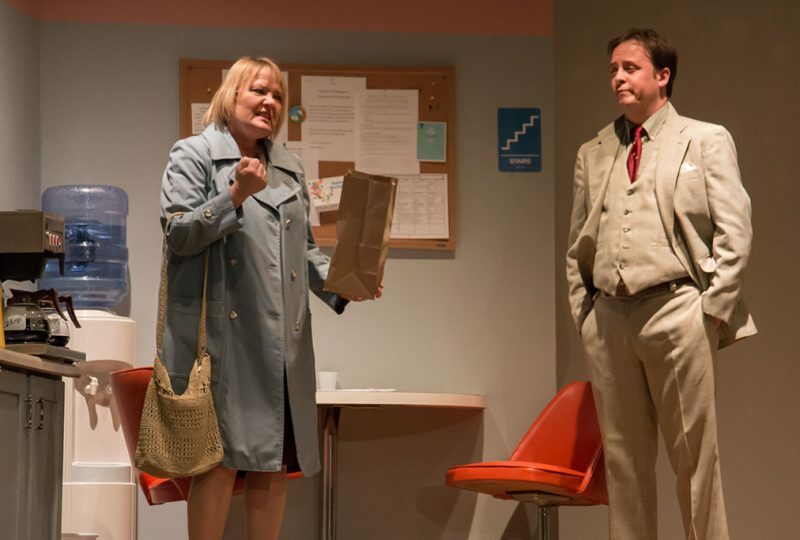 The cast includes Erica Mead, Samantha White and Karin Beveridge who take on their chauvinistic boss played by Jim Powell. Unlike the original movie with Dolly Parton, the play is a musical. 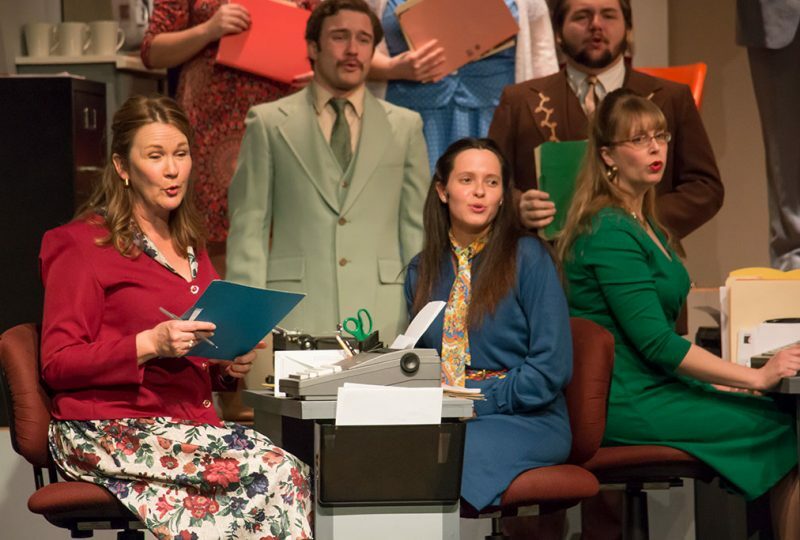 Jeff Woerpel, who sings in the chorus says the songs are a lot of fun to sing. 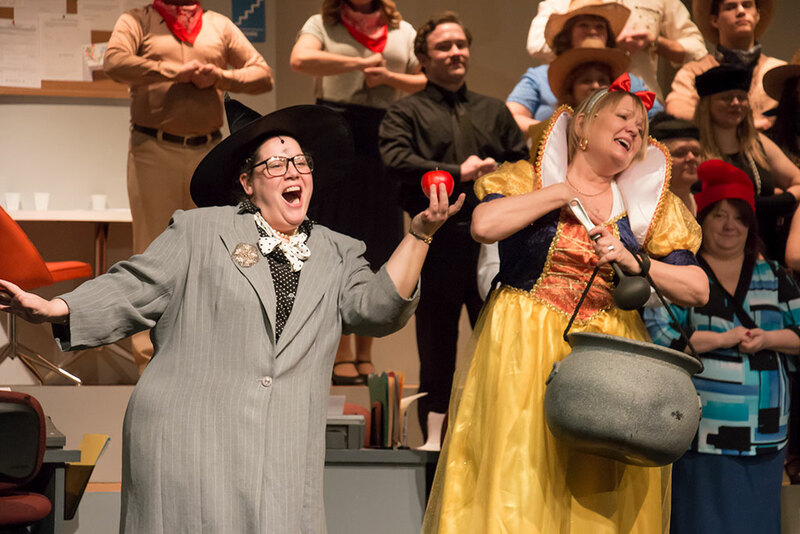 “The music is very strong, really fun to sing and the three women — Erica, Samantha and Karin who carry the show — to sing all night long these songs and they are very strong and belting and stuff. They’re a lot of fun to sing,” he said. 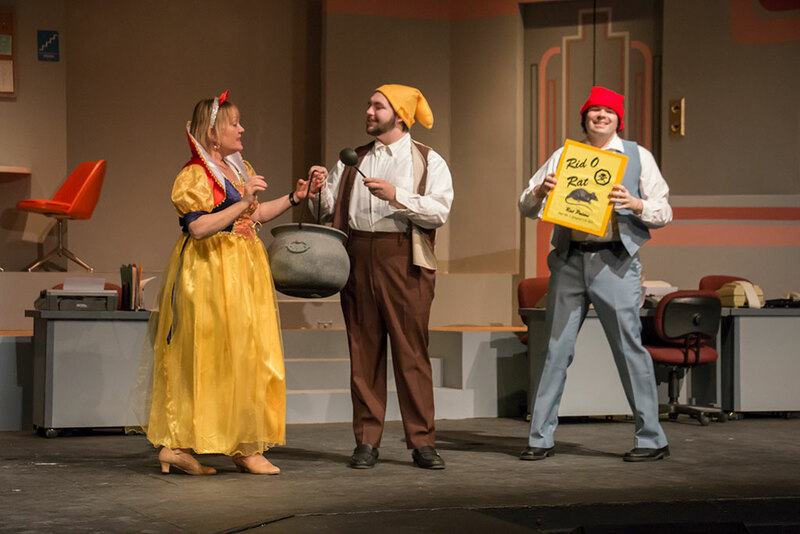 Travis Dubord especially likes the singing parts that musicals offer on stage. 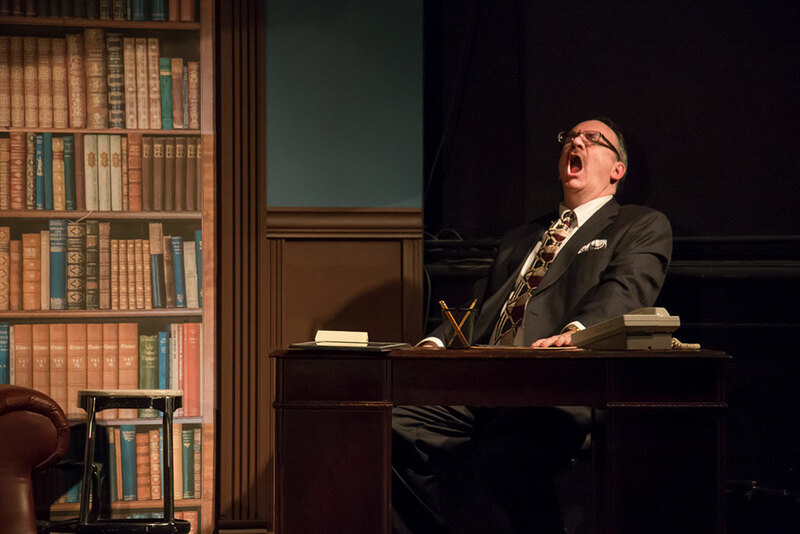 He plays Joe, the junior accountant, who is in love with Violet, played by Beveridge. “I have one song I do with Violet and then I do a lot of the ensemble stuff,” said Dubord. 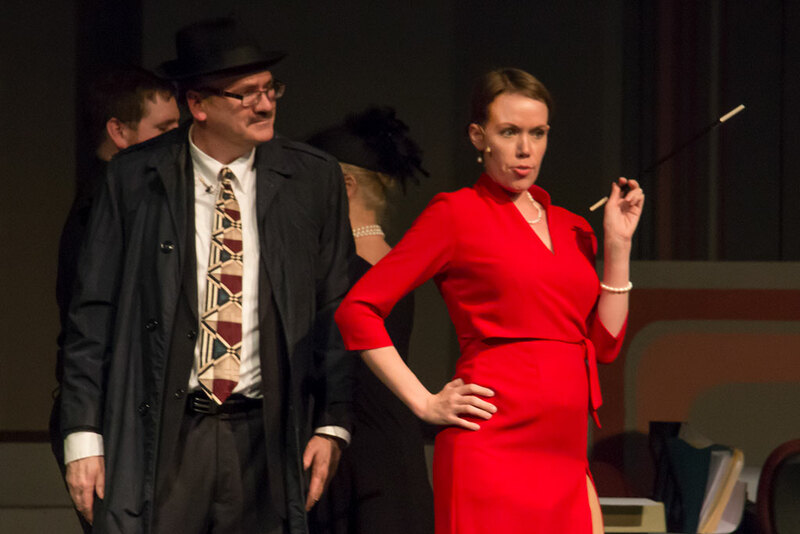 Amy Dier is also in the ensemble. She plays Kathy, the office gossip. “I like to sing and dance. 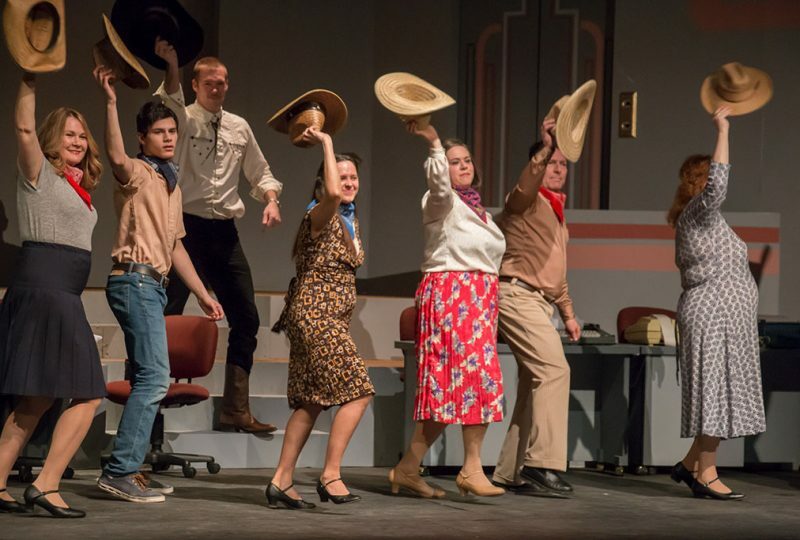 There’s a lot of dancing. 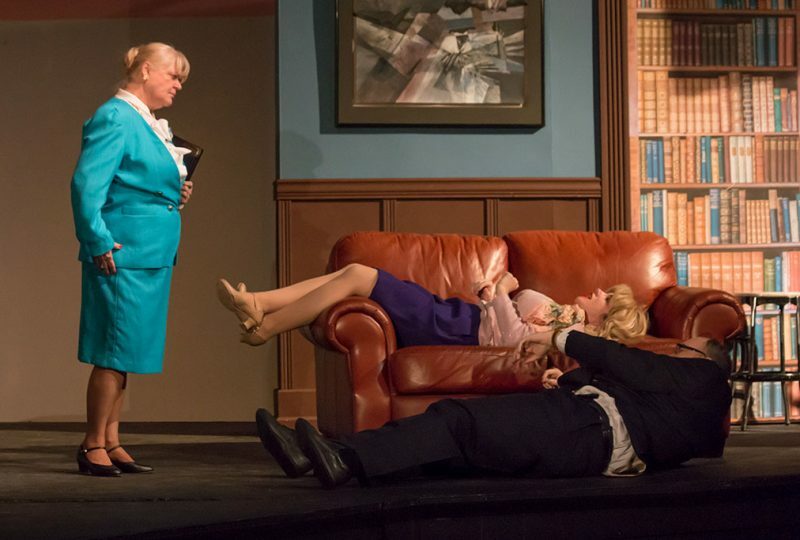 It’s a lot of fun,” she said. 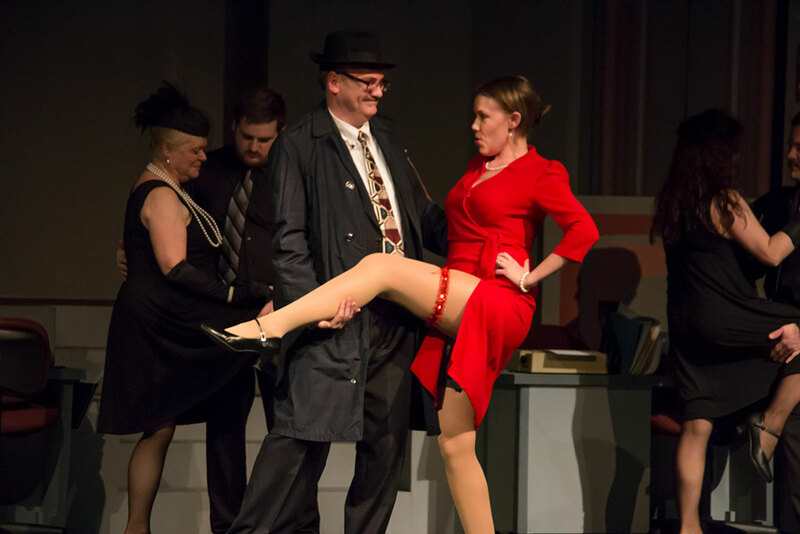 The musical is directed by Lynn Soderbergh with music direction by Tom Knoll. Players was able to put the new fly system installed last summer to the test. 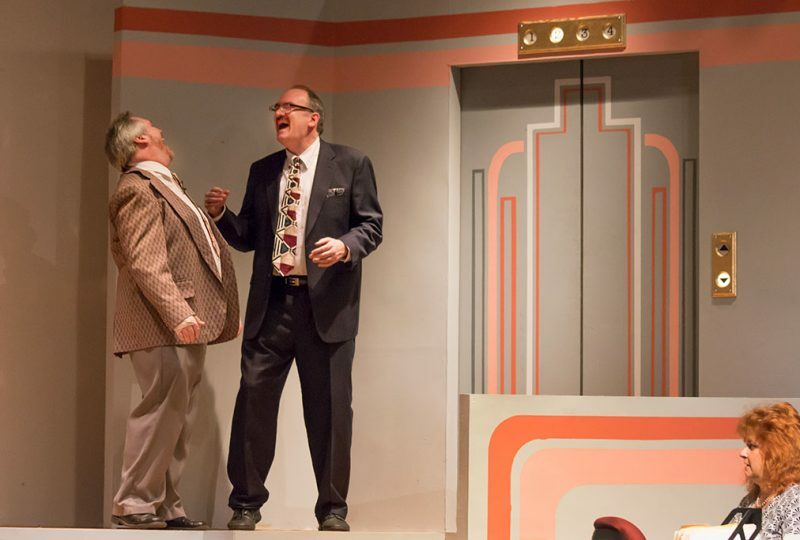 At one point, Franklin Hart played by Powell is hooked to a harness and lifted off the stage. Woerpel said the new fly system was a necessary upgrade for the Bonifas stage. 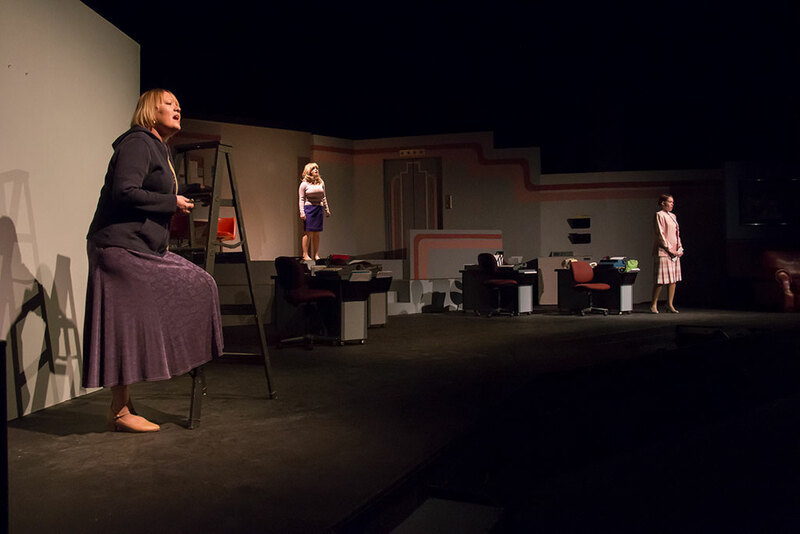 “It really opens up, not only for safety, but really opens up the ability to fly more scenery and lights and stuff for us. It was a very important and very well needed improvement for the stage itself,” he said. Players is well-know for it’s special effects on stage. 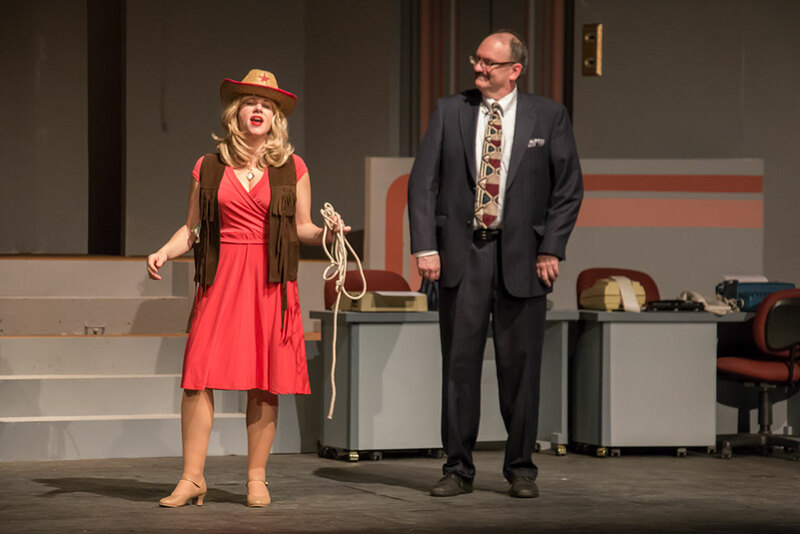 In the last play, there was ice that had to be broken in the floor of the stage in order to ice fish in “Guys on Ice.” In “9 to 5”, there is an elevator with lights and a door that automatically opens and closes. 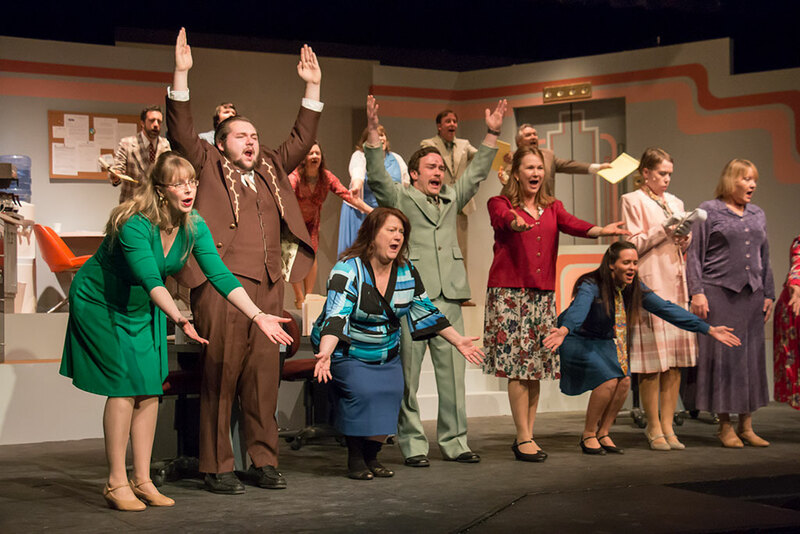 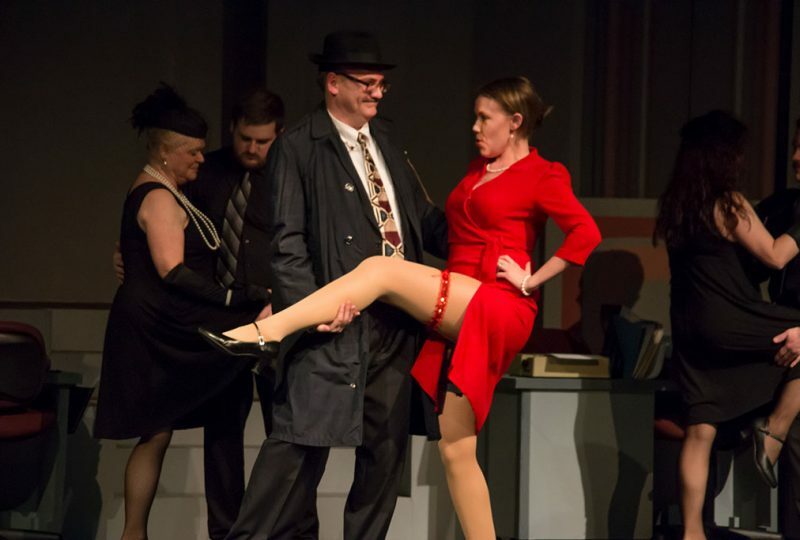 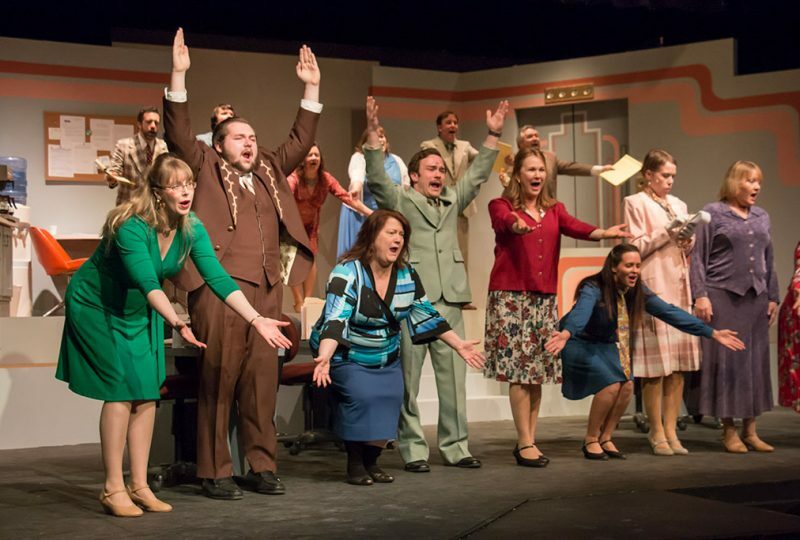 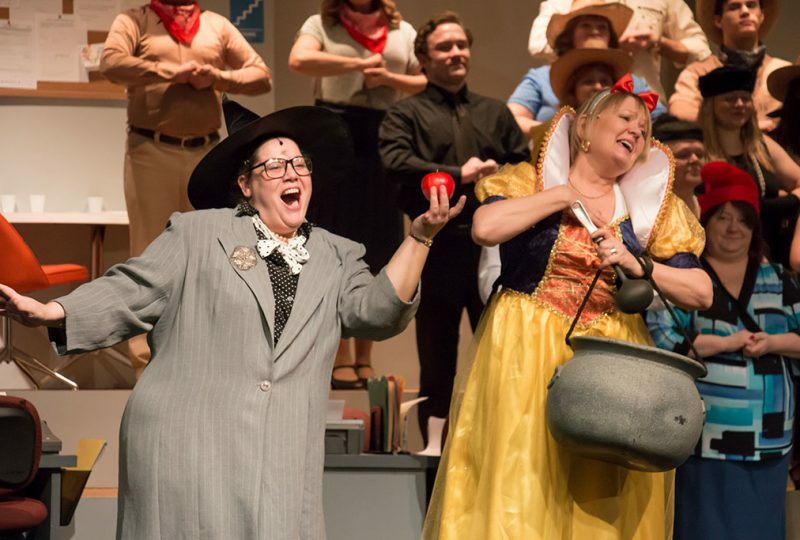 Share the post "Players de Noc musical ‘9 to 5’ opens Friday at Bonifas Theater"
Categories: Delta County, Entertainment, and Featured.